The Vegas Golden Knights have given Vadim Shipachyov's agent permission to talk to other clubs about a trade. Shipachyov was assigned to the Chicago Wolves of the AHL on Tuesday. Petr Svoboda, Shipachyov's agent, confirmed to TSN Hockey Insider Darren Dreger that permission was given on Tuesday morning for the search to begin. As TSN Hockey Insider Bob McKenzie notes, whether Shipachyov actually reports to Chicago remains to be seen. If he doesn't report, he is likely to be suspended. As @FriedgeHNIC reported, VGK gave Shipachyov's agent permission to talk to teams about trade. Shipachyov has been assigned to CHI in AHL. The forward was also sent to the AHL on Oct. 3 as Vegas made its final roster moves just prior to the start of the regular season. He did not report to Chicago though, and stayed in Las Vegas until he was recalled on Oct. 14. Shipachyov has one goal in three games for the Golden Knights this season. The 30-year-old spent his entire career playing in the KHL, where he had a career-high 26 goals and 50 assists in 50 games last season for SKA St. Petersburg. McKenzie added on Twitter, "On a two-year deal with AAV of $4.5M, that second year may prove to be an impediment to a trade, but we'll see how it plays out. Bottom line for Vegas management/coaches, quite aside from roster squeeze, is Shipachyov has been outplayed by players currently on roster. 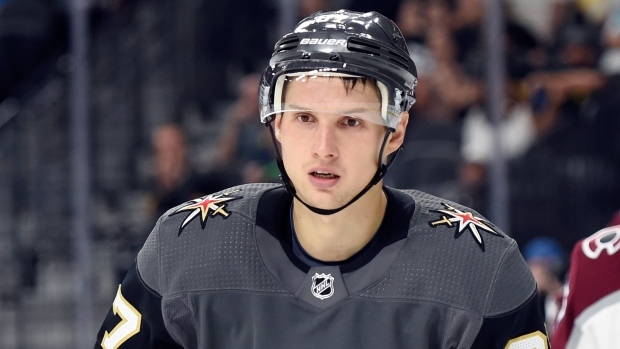 "Golden Knights' preference would be for Shipachyov to report to the AHL and use that experience to transition to North American game, but Vegas also realizes, given his age and experience, (that the) player not may interested in doing that. Hence, permission for agent to look around." McKenzie notes Shipachyov could also consider a return to the KHL, he was rumoured to be interested in re-joining SKA St. Petersburg when he was assigned to the AHL to start the year. For MTL fans thinking Shipachyov may be an option for Habs, don’t believe there is any interest from MTL.